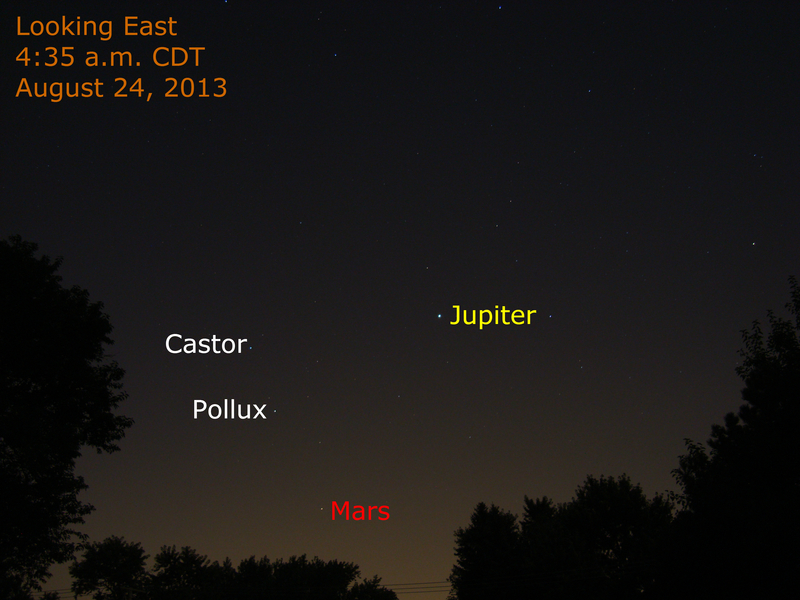 Bright Jupiter and Mars shine from the eastern sky at 4:35 a.m. as seen from the Chicago area. (Click the image to see it larger.) Jupiter appears among the stars of Gemini with Mars 15 degrees to the lower left. Mars appears nearly aligned with a an imaginary line that extends through Castor and Pollux. Mars is 7 degrees to the lower right of Pollux. For more about the sky this month, see our summary.